On March 10, 1948, world-renowned composer and pianist Ernst von Dohnányi (1877−1960) embarked for the Americas, leaving Europe for good. The Hungarian musician was seventy years old, and only a few years earlier he had been a triumphant, internationally admired pianist and leading figure in Hungarian musical life. Fleeing a political smear campaign that sought to implicate him in intellectual collaboration with fascism, he reached American shores without a job or a home. 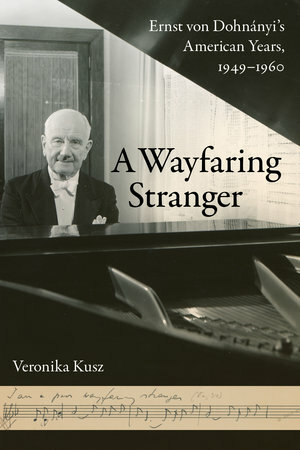 Based on a range of previously unavailable material, A Wayfaring Stranger presents the final period in Dohnányi’s exceptional career and reexamines commonly held beliefs about the composer and his unique musical oeuvre. 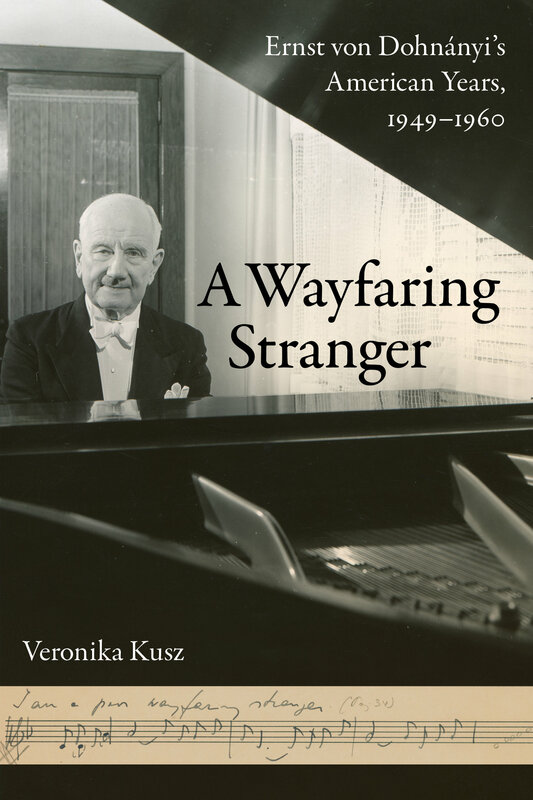 Offering insights into his life as a teacher, pianist, and composer, the book also considers the difficulties of émigré life, the political charges made against him, and the compositional and aesthetic dilemmas faced by a conservative artist. To this rich biographical account, the author adds detailed analyses of Dohnányi’s late works—in most cases the first to appear in musicological literature. This corrective history provides never-before-seen photographs of the musician’s life in the United States and skillfully illustrates Dohnányi’s impact on European and American music and the culture of the time. Veronika Kusz is a senior research fellow and curator of the Dohnányi Collection at the Institute for Musicology, Research Centre for the Humanities, Hungarian Academy of Sciences, Budapest.